Of course, I wouldn’t have HAD to change the spark plugs myself if the nameless garage I took it to for a service (I’ll give you a subtle clue: Arn*ld Cl*rk) had actually done their bloody job and serviced it. 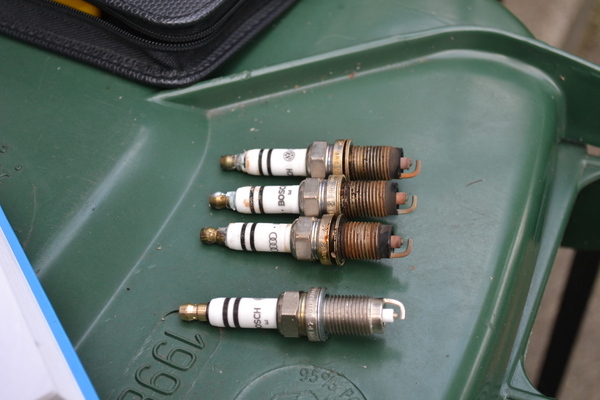 Surely spark plugs are one of the first things they should have checked? But anyway, I digress. They probably would have charged more than I paid just for the plugs, and I don’t really mind another chance to get my hands dirty with a toolbox and the Haynes manual. 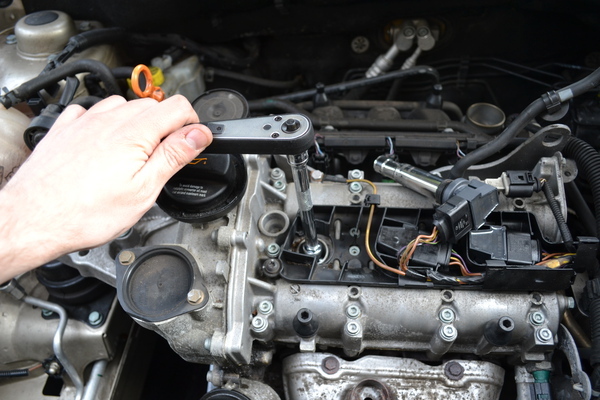 Also, while I was ordering the spark plugs I took the opportunity to get a spare ignition coil at the same time – so hopefully will be no more repeats of last month’s drama. 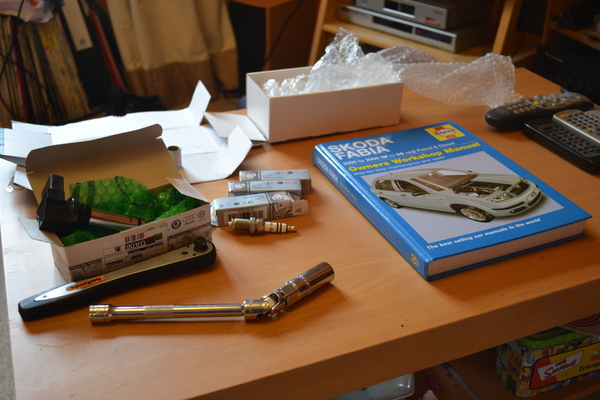 The parts: 3 new spark plugs, 1 new ignition coil, 1 service manual, 1 spark plug spanner. 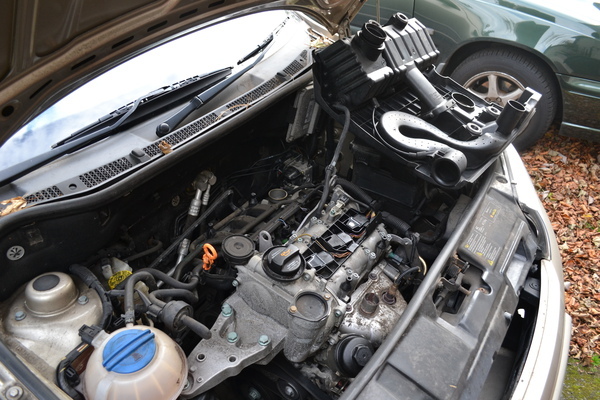 First the engine cover has to come off. 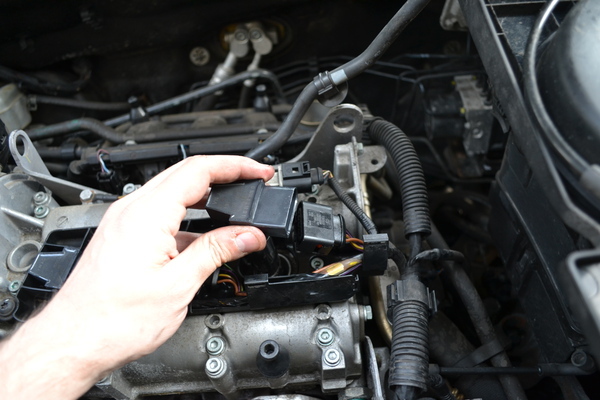 You can now see the plastic tops of the 3 ignition coil packs, one for each cylinder. 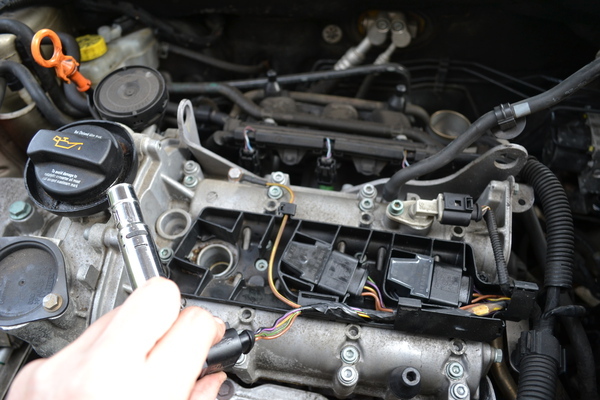 The spark plugs are underneath the coils, which have to be levered out of their holders. I just used a screw driver for this. … it’s a bit worn out. First 2 cylinders went smoothly. Cylinder 3 was a bit harder as the wiring was tighter and the coil had to be unplugged to get it out. 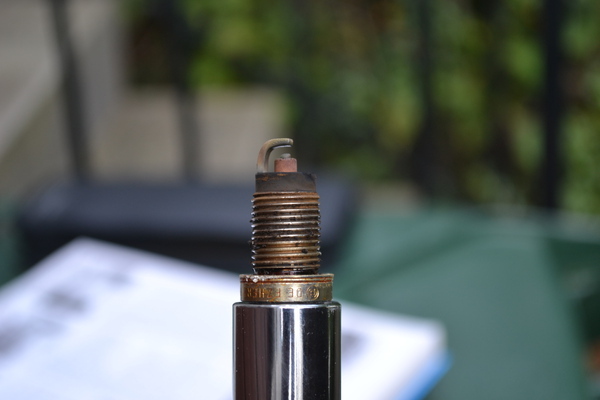 The old plugs, next to the new plug for cylinder 3. All done now, that was quite quick and painless. Moment of truth time as I started the engine… success!! And it made a difference too, I nearly went shooting backwards into the neighbour’s wheely bin as I reversed out of the driveway, obviously not used to having the full engine power available. 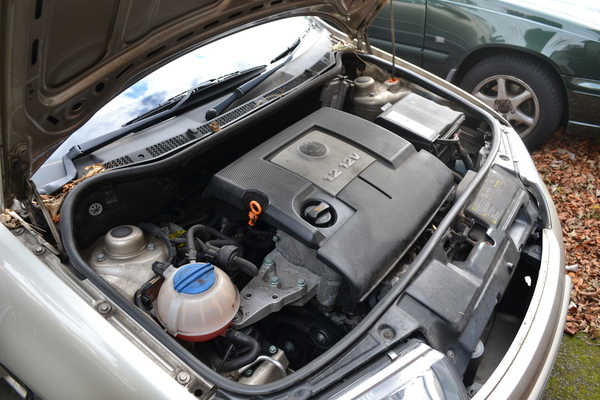 This entry was posted in Uncategorized and tagged car, fabia, skoda, spark plugs by gcat. Bookmark the permalink.